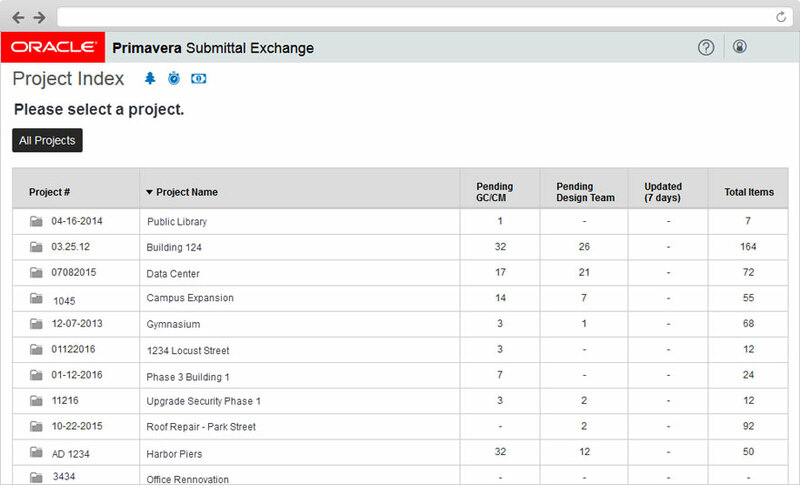 Primavera Submittal Exchange Cloud Service provides an easy user experience for electronically exchanging, reviewing, and archiving construction project documentation in the cloud. 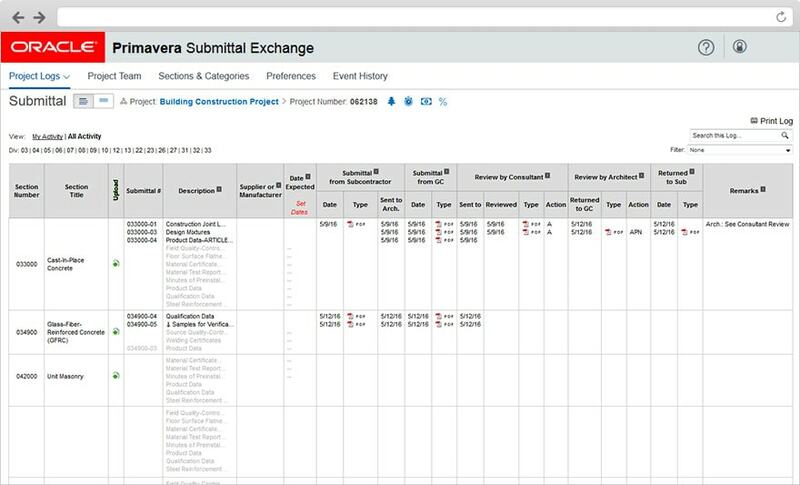 Save time, reduce costs, and decrease the amount of paper associated with projects. 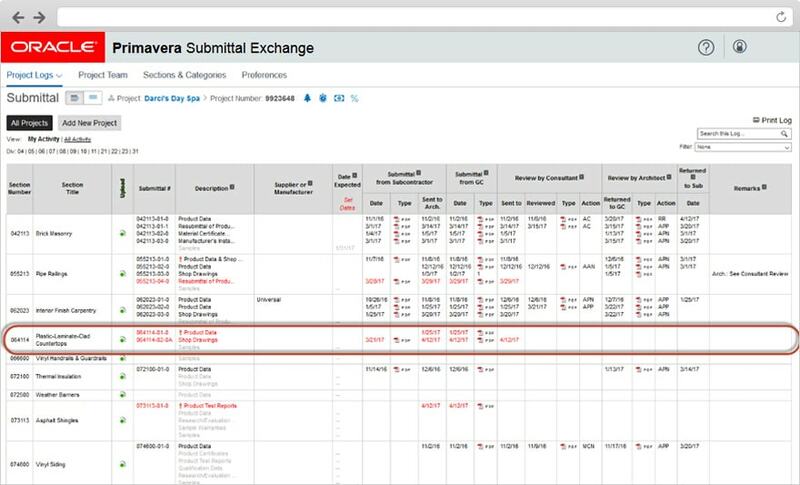 You will experience increased transparency, consistency, and accountability, resulting in fewer delays and lower costs.